2004: Vancouver Convention Centre Expansion Project (VCCEP) begins consultations to inform the Request for Proposal process for a new permanent seaplane terminal. 2005: After a competitive bidding process, PCI Properties Corp is selected as the successful proponent to develop the commercial properties of the Vancouver Convention Centre including seaplane terminal and marina. 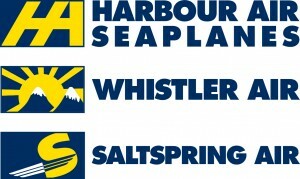 Harbour Navigation Ltd. was a member of the bid team. 2007: VCCEP enters into a Project Implementation Agreement in March with PCI. whereby VCCEP agrees to lease the Water Lot (and commercial and parking) Premises to PCI. Harbour participates in all negotiations, with VCCEP and PCI on the Water Lot. 2007: PCI and Harbour Navigation Ltd. enter into a Water Lot Implementation Agreement (WLIA) in July whereby PCI agrees to sublease the Water Lot Premises to Harbour Navigation Ltd. including rights of access and cost Sharing. 2007 First public open house for overall design after consultation with float plane operators. 2008 second public open house for overall design, after input from float plane operators. 2008: VCCEP is dissolved as a Crown Corporation and BC Pavilion Corporation (PavCo) takes over responsibility for VCC.2009: Ledcor Industries Inc. and Harbour Navigation Ltd begin exclusive discussions on a partnership in February eventually forming Vancouver Harbour Flight Centre Limited Partnership in June. The WLIA is replaced by an Agreement to Lease in August between PavCo and VHFC whereby PavCo agrees to lease the Water Lot Premises to VHFC essentially on the same terms as the PCI lease which it replaces. 2009: VHFC conducts stakeholder outreach to inform all parties of the seaplane terminal development, including options for pricing models for tenants and terminal design plans. 2010: In May PCI and VHFC enter into a term sheet due to the request by Harbour Air to have the terminal in part of their commercial leased area rather than on the Water Lot as was originally planned. 2010: In August a commercial sublease for the terminal space and restaurant (based on the terms and conditions set out in the Term Sheet) is entered into between PCI and VHFC. 2010: June 1 is the commencement date of the Waterlot Lease between PavCo and VHFC. The facility is scheduled for completion and operation by May, 2011.